"We always aim to please" is the motto of Deck Master Corporation's Louis Guttman, the owner of this over 30 year old, recognized and accredited, company which uses only highly professional craftsmen. By selecting his craftsmen carefully, he manages to never leave a customer dissatisfied. Deck Master Company specializes in custom decks, pool decks, elevated decks, rooftop decks, water view decks and deck enclosures, as well as all phases of general contracting and so much more. With Deck Master, your sure to get the best value for your dollar, without cutting cost by offering you lower end quality materials. 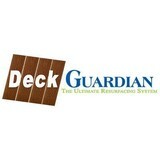 Deck Master provides only the best possible materials to complete the project. Some examples of materials used to create a masterpiece are: Trex, Deckorators, Fiberon and more. What services do deck and patio builders in Keyport, NJ provide? To help you choose the ideal style, configuration and materials for your deck or patio, your deck and patio contractor will survey your Keyport, NJ lot and your home to come up with a design that complements your exterior as well as being structurally sound. He or she will recommend sizes, heights and construction materials that suit your lifestyle and climate, as well as explain the best stain or finish options. Additionally, deck and patio professionals can provide insight into additional components such as outdoor kitchens, patio covers, fire pits, outdoor lighting, arbors and more. Your deck and patio professional might work closely with another Keyport, NJ lawn and landscape professional. Here are some related professionals and vendors to complement the work of decks, patios & outdoor enclosures: Landscape Architects & Landscape Designers, Garden & Landscape Supplies, Stone, Pavers & Concrete, Landscape Contractors, Building Supplies. 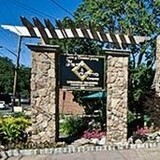 Find a deck and patio builder in Keyport, NJ on Houzz.